Cranes are pieces of heavy machinery which are primarily used for moving heavy and/or large objects on construction sites. This is done by using massive “arms” and a suspension system. Cranes are often essential for construction and other large jobs, but they also require expert and careful operation. Even then, cranes can be extremely dangerous and can lead to injuries or wrongful death. At The Law Office of Kamensky, Cohen & Riechelson, our personal injury lawyers have extensive experience helping clients injured in crane accidents in Pennsylvania towns including Levittown, Northeast Philadelphia, Feasterville, Bensalem, Penndel, Millbrook, and the greater Bucks County region. We have been successfully recovering compensation through personal injury claims by reaching positive verdicts and settlements since 1972. If you have been injured in a crane accident, lean on our experience to protect your family’s legal rights and help to ensure your financial future. Call our office today for a free and confidential consultation with a member of our personal injury legal team regarding your crane accident, your injuries, and your potential personal injury claim. Contact with other objects or machinery – This includes individuals being hit by a falling object from cranes and becoming trapped by machinery or other objects. 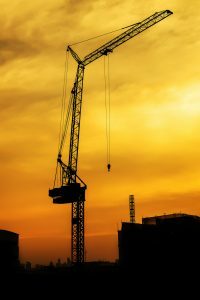 When injured in a crane or other construction accident, personal injury claims may be filed if your accident was the result of the negligent or reckless actions of another party. In some cases, we may be able to refer to the US Department of Labor Occupational Health Administration’s Regulations for Crane Use. The OSHA has extensive guidelines for safe usage of overhead cranes, gantry cranes, and more. If any of these regulations have been violated, that is a great indicator that another party may be at fault. However, there are several different avenues our Levittown attorneys may choose to explore in order to find fault regarding your personal injury claim. Depending on cause of your injurious accident, we may be able to find the construction company, the property owners, the manufacturer of the machinery, and even possibly the organization that owns and/or leases the cranes themselves liable for your injuries. For example, let’s say that a worksite foreman orders an employee with insufficient training to operate a crane. The employee does not properly operate the crane according to OSHA guidelines, and makes contact with an electrical pole. The electrical pole is knocked over and strikes you, causing injury. In this case, we will strive to show that the foreman’s actions were sufficiently negligent to cause your injuries. The construction company, organization who hired the construction company, and even the property owners could all potentially be held liable. The personal injury attorneys of Kamensky, Cohen & Riechelson have been recovering full and fair compensation for our clients for over four decades. We will work with the specifics of your crane accident personal injury claim in order to seek a successful verdict or settlement. Our firm takes pride in serving our local Pennsylvania clients across towns like Northeast Philadelphia, Levittown, Feasterville, Millbrook, Penndel, Bensalem and all of Bucks County. Contact us online or call our Bensalem offices at (215) 337-4915 today for a free and confidential consultation with a member of our legal team regarding your crane accident personal injury claim.